Intel has scooped up another Radeon Technologies Group (RTG) veteran for its push into discrete graphics. The company has once again been exercising its significant clout to rustle together an enviable team of GPU and marketing experts, and its latest hire will score the company another Radeon marketing guru to ensure its Intel Xe launch goes off without a hitch. Intel has now hired on Heather Lennon as digital marketing manager for its graphics division. Lennon had previously served as manager of global marketing and communication for RTG for over seven years, and was responsible for Radeon social media, Radeon.com, graphics card rebranding, and community management. 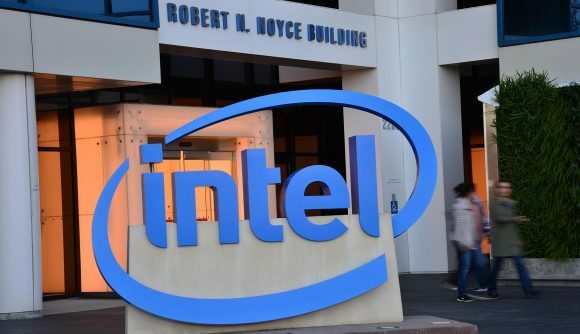 Social media and community engagement are becoming increasingly important for Intel as it approaches its 2020 release window for Intel Xe, so the move seems like a smart one for all involved. Intel recently launched Odyssey, a community-focused graphics marketing program promising to keep gamers and content creators up-to-date on the latest happenings from its discrete graphics division. And the company’s latest hire definitely shows intent to further this program’s reach. But Lennon is just one of the many long-standing AMD/Nvidia employees that has received an offer they can’t refuse from Chipzilla. Intel hired Raja Koduri, ex-RTG head honcho, shortly after AMD RX Vega launched in 2017. Koduri was put in charge of Core and Visual Computing, heading up Intel’s engineering efforts.Chris Hook jumped ship soon after, followed by Damien Triolet. Nvidia’s Tom Peterson recently joined Intel’s cabal, too. Peterson had been at the company since 2005 as Director of Technical Marketing. Arriving in 2020, Intel Xe is the company’s major push into the graphics game, encompassing everything from integrated on-chip solutions to gaming and big data. At Intel Xe’s foundations will be the Gen 11 graphics IP set to launch with Intel Ice Lake. These 10nm CPUs will drastically increase graphics silicon over their predecessors, more than doubling Execution Units (EUs) for a total of 64, and we can expect some play on this same formula within the company’s discrete GPUs. When Intel first announced its ambitious goals there was only one word that came to mind: Larrabee. That was the company’s previous dGPU project, which, understandably, you may never have heard of because it was cancelled in 2010. Yet, with all of the company’s recent hires, and surely some hefty investment, it’s hard not to be a little less sceptical of Intel’s renewed graphics efforts. Bring on 2020.